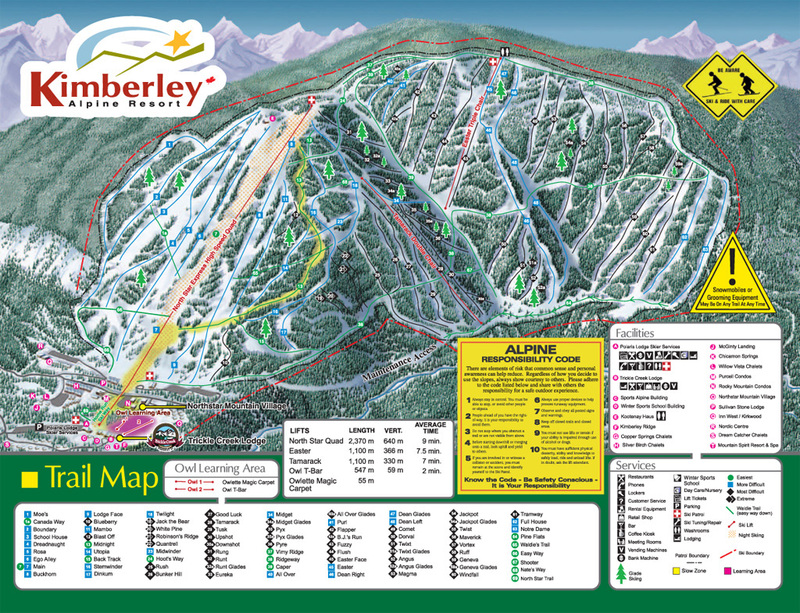 Located in the spectacular Purcell Mountains in British Columbia, Kimberley Alpine Resort offers a true family destination ski resort. Known for consistent snowfalls, short lift lines and an abundance of sunny days, this relaxed ski resort offers something for everyone. Beginners can take advantage of their own exclusive learning area, and with over 1,800 acres of wide open groomed, cruising terrain, moguls and gladed runs, intermediate or advanced skiers and riders also have plenty of terrain to explore. Should your legs not get enough during the day, Kimberley also offers night skiing on one of the longest illuminated runs in North America. Located only 20 minutes from the Canadian Rockies International Airport (formally known as Cranbrook Airport), Kimberley Alpine Resort offers convenience and ease of access. 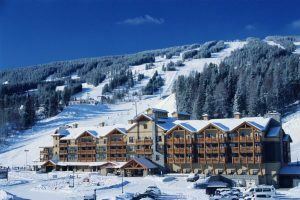 There are on-mountain ski-in, ski-out accommodations providing properties designed with natural log craftsmanship. So while staying on mountain, the lifts are not even a snowball’s throw away! The Kimberley town site, historic and charming, is called the “Bavarian City of the Rockies” and is located only minutes from the base of the ski area. Experience the European flavoured restaurants and shops, while enjoying the friendly Canadian spirit. Pre-book your ski lift passes through us as part of a ski package and save 10% off your ski lift passes.